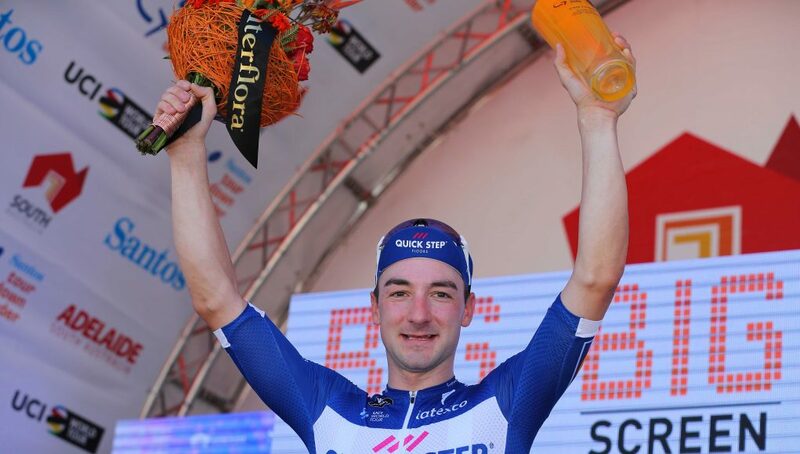 Four months after concluding the most successful season of his career with a perfectly-timed sprint in Madrid, Elia Viviani picked up where he had left off, scoring another victory – his 68th since turning pro – after producing a fantastic late burst which saw him blitz the Tour Down Under field in the last 150 metres of an opening stage held in extreme heat and windy conditions which prompted the organisers to take out the 3.4km finishing circuit. “First win of the year for the team, first win for me, it’s a really great day for us. 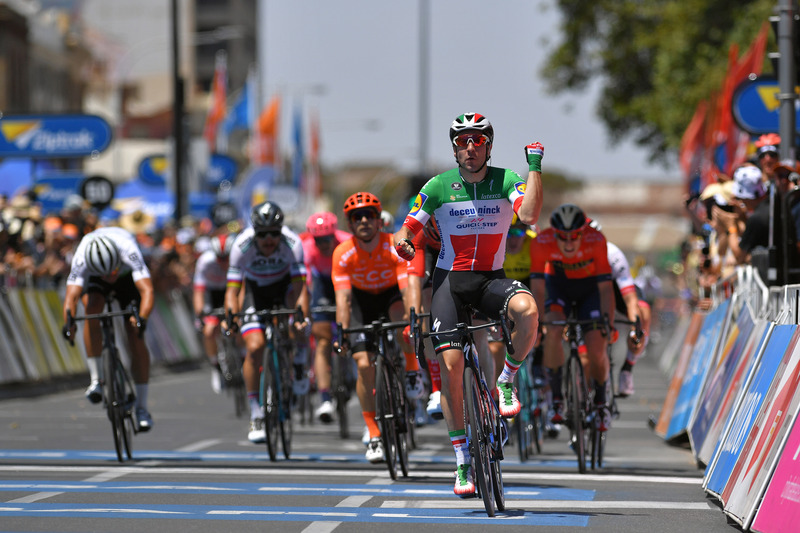 I felt a bit of pressure after the amazing season I had last year, but now I am more relaxed and already looking forward to the next opportunities I’ll get this week here in Australia”, Viviani said after his masterclass sprint performance in Port Adelaide, host for the first time in history of a Tour Down Under stage. Deceuninck – Quick-Step were one of the teams who controlled the four-man breakaway which animated the 129km-long stage that rolled out from North Adelaide, with the likes of Rémi Cavagna, neo-pro Mikkel Honoré and James Knox, whose fair share of work at the head of the peloton helped keep the quartet on a leash before eventually reeling them in. 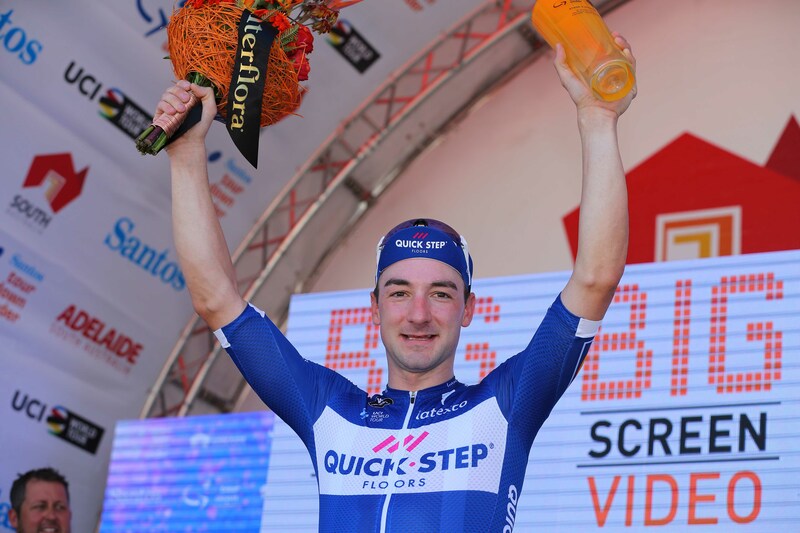 Two days after a crash took him out of contention in the closing kilometer of the Down Under Classic, the 29-year-old Viviani showed once again why he was the best sprinter of 2018, as he took a convincing victory ahead of Max Walscheid (Team Sunweb) in a scrappy finish. 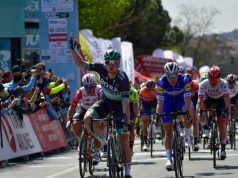 Viviani decided to leave it late in Port Adelaide, where the strong headwind played an important role in the outcome, and charged through the left of the peloton after finding an unreal gap, no wider than his handlebars. 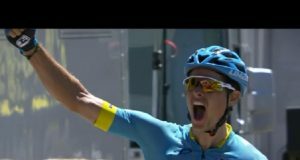 The Italian Champion’s daredevil move helped him power past Walscheid and win stage 1 of the World Tour race by several bike lengths, claiming the ochre jersey in the process. 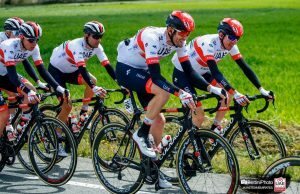 “We knew it was going to be a headwind, and this made for a difficult and chaotic sprint, but our plan was to wait a little bit before putting me in the best position. All the teams were committed and it wasn’t easy to find some space, but Michael and Saba did a great job, as always. Despite some guys having a few meters on me in the final, I didn’t panic and opened my sprint at the right moment. 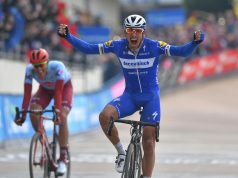 Once I found that space on the left of the barriers, I felt that I could win”, said the Deceuninck – Quick-Step rider.